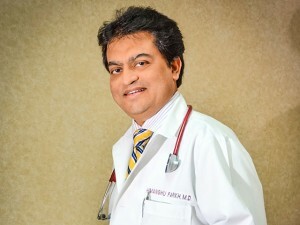 Being an internal doctor, Dr Parikh is very familiar with cholesterol diagnosis and treatment. Cholesterol is a waxy substance occurring naturally within the body. It is crucial in the manufacture of hormones and vitamin D. But too much cholesterol, particularly when it comes from poor food alternatives, can clog blood vessels and lead to heart attack or stroke. There are two types of cholesterol. Here is the kind that builds up in arteries and can lead to a heart attack or stroke. High-density lipoproteins, or HDL, are known as “good” cholesterol. This substance helps return awful cholesterol to the liver for removal. Your liver produces cholesterol naturally. But unhealthy foods, including fried food or foods which contain excessive amounts of animal fat, increase cholesterol levels. Along with an unhealthy diet, genetics and obesity also play major parts in somebody’s inability to remove cholesterol from your blood. Who Is at An Increased Risk for High Cholesterol? Anyone whose diet contains an excessive number of saturated fat is at risk of high cholesterol. Saturated fat comes from dairy products and red meat. Nuts and some plant-derived oils also are full of saturated fat. Overweight people and people with a genetic susceptibility to high cholesterol are also at an increased risk. Do You Know the Indications of High Cholesterol? High cholesterol will not show any symptoms until a devastating event such as a stroke or heart attack occurs. In rare cases, it may show up as yellow deposits in the eyes or in tendons. High cholesterol can be diagnosed with a straightforward blood test. Total cholesterol should not exceed 200 milligrams per deciliter, when cholesterol levels are taken after a 12-hour fast. If a reading falls between normal level and high level, it is considered borderline high. For most people who have high cholesterol, exercise and a healthy diet can decrease amounts to normal–discuss all dietary changes and exercise regimens with your physician or health care provider. Sometimes drugs is needed, particularly with high rates of LDL, or bad cholesterol. High cholesterol can be treated by many different medications. Statins are drugs that help your body lower cholesterol levels and even remove cholesterol from clogged arteries. Resins absorb bile that contains cholesterol and prevent its re-absorption in the large intestine. Additionally they cause the liver to improve bile production, using up more cholesterol. Other cholesterol-lowering drugs function to lower the intestine’s ability to absorb cholesterol. Eat better. Start preparing meals to your high cholesterol in mind. Try lean meats, like fish and chicken. Avoid fried or fatty foods. Eat lots of whole grains, fruits, and also vegetables. A lot of carbs, which can come from booze or sugary foods, can increase triglycerides, which also can lead to high cholesterol. Exercise. Participate in moderate aerobic activity at least thirty minutes a day, five days per week. Constantly discuss new exercise regimens with your doctor or health care provider. Quit smoking. This can decrease your levels of HDL, or bad cholesterol. Nutritional supplements including fiber, soy, and fish oil may all help lower cholesterol. Herbs including hawthorn, garlic, and olive seed extract might also have advantages. Talk to your doctor before starting an herbal regimen. Definitely they should show these videos at my college. As an MBBS student, I find your animations very useful. Crisp and awesome. post the animations of cholera and syphilis. muita bom, mesmo muita bom. E para o Castrol, não têm? Thank u. I pray that I mind down. the doctor told me mind was to high. Nucleus~marvellous medicinal knowledge Thank you…well done. that a unique molecule (cholesterol) can be both “good” or “bad”. “lipid theory”, written on papers. that instigates the body to send cholesterol to the artery to repair it ?